Students who wish to study abroad have to decide where to go to study? You can decide to go to the more popular destinations like the U.S, the U.K, Australia or Canada, or you can go to a place that is closer to home, like Singapore. You can also decide to go to less popular options like Germany, Russia, and China etc. The plethora of options available to you can be flattering, but can also be very confusing. You might want to go the U.S because all the top universities are there, but it is possible that you can’t afford studying in the U.S or you don’t have the educational background to make the cut. You might be able to afford studying in Canada, but might not want to live in a place that remains engulfed in snow most of the year. Deciding where to go to study abroad becomes even more confusing when there are no restrictions. For example, what do you do if you can afford studying anywhere and if your course is offered by all the top universities of the world? In such a situation, which of the top universities do you pick? How do you differentiate between them? These are important questions because unlike in India there is no common entrance exam which gives you a rank and makes it easy to understand where you stand with respect to other applicants. There is no single answer to all these questions and no one choice suits everybody. What is correct for you might be completely wrong for another person. Which is the ideal destination for you depends on a lot of varying factors such as your academic record, financial situation, future goals, personal preferences etc. Listed below are some of the most influential factors that Indian students consider while deciding where to go to study abroad. While considering where to go abroad to study, most students first check the type and reputation of courses that are available in a particular country for their subject. For example, if you wish to study Medicine, you should know that obtaining a degree in Medicine is going to typically take 3 – 4 years in the U.S. after you’ve graduated. This is because Medicine is only offered as a postgraduate course in the U.S. You would first have to spend four years completing an undergraduate degree before starting to study medicine. In comparison, it takes 5 ½ years after class 12 to complete your MBBS in India, 5 years in UK, 5 – 7 years in Australia and 6 – 8 years in Canada. Or suppose you want to pursue a practical – oriented course in a subject like Management, but a particular country’s education system offers only theory based courses in that subject or vice – versa. Different countries (and their universities) are known for courses in different fields. While deciding which country they should go to, most Indian students keep the general reputation of the courses in mind. You might not want to pursue a course that a country’s universities are generally not known for. For example, if you wish to study Oriental Art, it is probably a better option to study in Singapore rather than studying in Canada. On the other hand, if you wish to study Victorian Theater, the U.K will prove to be the best option. Suppose you decide to go to the U.S to study one of the subjects it is known for, such as Computer Science. However, it is possible that you find it very difficult to get admission as the more reputed a course is, the more competitive is the admission process likely to be. You might find it easier to get into a Computer Science course in Canada or the U.K. Students who consider going abroad to study also keep this in mind while deciding their destination. While deciding where to study abroad, most Indian students are heavily influenced by the financial implications of studying in a particular country. Different costs are involved in studying in different countries. You might be able to afford studying in some countries but not others. For example, you might be able to afford an Engineering course in Singapore but not in the U.K due to the high tuition fees. 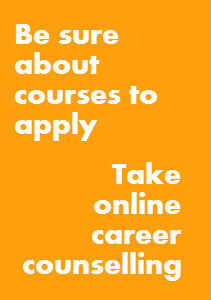 However, if you must study in the U.K. then you might want to know that different courses have different tuition fees. The financial aspect of studying in a particular country also includes the various scholarships and financial aids available to students. Most students conduct a thorough research on the various financial aids available for Indian students in a particular country before making a decision. There are various merit – based scholarships, need – based scholarships, loans, bursaries, discounts and subsidies available for students that can make studying in a particular country more affordable for you. Students also generally consider the part – time work options that are available in a particular country for international students. Even though part – time work does not fund your education, it can help in contributing towards your daily expenses. Some countries allow it, some don’t. Additionally, there are restrictions imposed on the duration and type of work you can do. 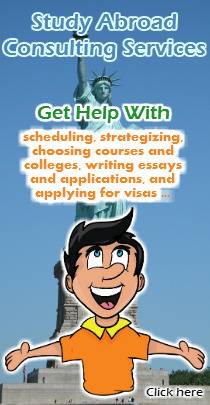 One of the most important factors that influence Indian students while deciding which country to go to study in are the visa laws and restrictions regarding staying on and working in that particular country upon completion of the course. This is primarily because most students would like to work in for at least a few years in the country where they go to study. For this reason, studying in a country that doesn’t allow international students to stay on and work isn’t a good option. They would be better off studying in a country with lenient visa restrictions and a comparatively easier pathway to permanent residency, such as US or Canada. Students who wish to come back to India or work in another country upon completion of the course are often influenced by the value of the qualifications of that country and their prospects in the international job market. For example, if you wish to work in Dubai upon graduation, you would probably be better off with a degree from an internationally well known study destination such as the U.S or the U.K rather than a degree from Russia. Another influencing factor for Indian students who are deciding where to study abroad is the proximity of a particular country from India and the culture of the country. For example, several Indian students choose to study in Singapore as it is geographically close to India, which enables families and students to travel to and fro more frequently. Proximity is also determined by the place you wish to eventually settle in. For example, many Indians students study in Canada as it is geographically and culturally very close to the U.S (where they eventually wish to work and stay). Many Indian students also consider the culture of a place before making a decision. It becomes important for the country you wish to study in to have an active Indian community. The decisions of many students are driven on the basis of the presence of their family members or close friends in a particular country. This is not to be taken lightly as it can be a big help to have family members or close friends as a support system in a foreign country, especially during your initial days. A big reason behind a student choosing a particular to study in is the ease by which he/she can get admission. Even though the admission procedures and their difficulty levels differ from university to university, it can be said that on an average level, getting into universities in the U.K and Australia is comparatively easier than getting into a university in the U.S or even India. Needless to say, this does not apply to top universities like Cambridge or Oxford. It is big possibility that students who do not manage to get into a top college in the U.S or India can easily manage to get admission in one of the good universities in U.K or Australia due to the lesser competition levels. Additionally, as compared to the U.S, the admission process is less cumbersome in the U.K and Australia the major focus will be on your academic record rather than on your entire personality, like it is in the U.S.